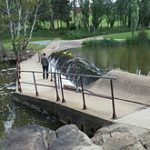 The weir consists of a vertical drop wall or chest wall with or without crest gates and horizontal impervious weir. The upstream and downstream ends of the impervious floor. Aprons are also provided on both upstream and downstream pending of water and a part of it is being done by shutters at top of the crest. Concrete weir with sloping downstream glacis. Weirs of these types are comparatively of recent origin. When water passes over such a weir hydraulic jump is formed on the sloping glacis, so as to dissipate the energy of the flowing water. This type of weir is now exclusively used, especially foundation. They are generally provided with a low crest and counterbalanced guitar, similar to the barrage. 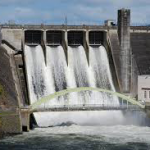 It is generally known as ogee spillway. The shape of the weir is ogee or s-shaped. This types of weir have the large discharging capacity. Water from the main reservoir is released. It flows down the river and picked up by the pickup were on the upstream side of the pickup weir. The water level riser to F.S.L of the weir. The canals take off either on both or one side. The crest of pick up weir is designed as ogee shape. It is solid weir. There is subsidiary storage at the back of a pickup weir. The water level is usually maintained up to top of this weir.